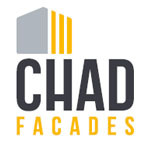 CHAD designed and manufactured the PoLYRENDER Thermal Facade System. It offers an insulating, decorative and protective finish for your exterior surfaces. The CHAD PoLYRENDER Thermal Facade System is fully BCA compliant (NCC 2014 Compliance, Appraisal and Certification Report No. ACA-140807, given 12th August 2014). 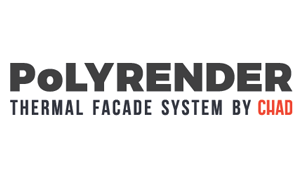 What is a PoLYRENDER Thermal Facade System? fibreglass mesh, mechanically secured to the exterior wall surface. 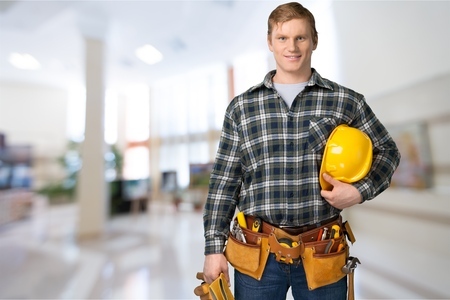 Base Coat – Two coats of base coat render 3-5mm thick is applied to the entire wall area. Finish Coat – Applied on top of the base coat giving a durable, crack resistant finish. Consisting of Grade M expanded polystyrene, CHAD PoLYRENDER Thermal Facade System is perfectly suited for cladding and rendering applications and is aesthetically designed to resemble the appearance of a rendered brick wall. It features a depth of reveal at windows that only further enhances its architectural appearance. The inherent flexibility of PoLYRENDER enables a less-constrained design and installation process of wall systems. Each PoLYRENDER panel is available as a 1.2m x 3.0m sheet with a standard thickness sizes of 50 millimetres, 75 millimetres, and 100 millimetres. For other size requirements, a request can be made so that the PoLYRENDER can be customised based on the desired size.